MALACAÑANG challenged motorcycle riders on Monday, March 25, to question the constitutionality of the recently signed Motorcycle Crime Prevention Act. The call was made after motorcycle organizations staged a massive "Unity Ride" on Sunday, March 25, to protest the enactment of the law, which they deemed "unconstitutional and discriminatory." "Why [is it unconstitutional]? What's their argument? 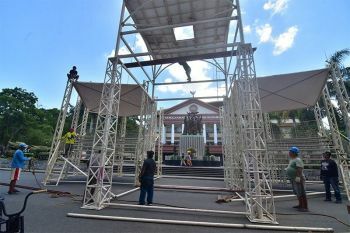 If they feel it's unconstitutional, they can always raise that before the courts," Presidential Spokesperson Salvador Panelo told Palace reporters. Duterte, a known motorcycle enthusiast, signed Republic Act (RA) 11235 or the Motorcycle Crime Prevention Act on March 8, mandating the use of "bigger, readable, and color-coded" number plates, in an effort to prevent the commission of crimes using the vehicles. 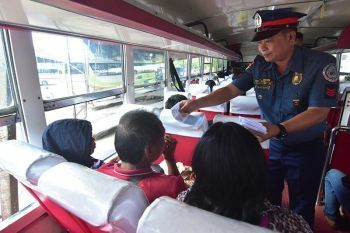 The law also states that the readable number plates must be displayed in "both the front and back sides of a motorcycle" and should be made of "suitable and durable material" determined by the Land Transportation Office (LTO). 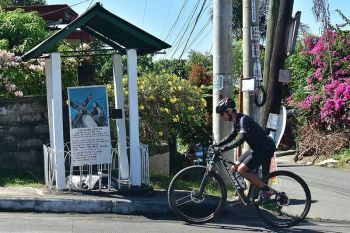 Jober Bolanos, chairperson of the Motorcycle Rights Organization, said in an interview on Sunday, March 24, that filing for declaratory relief against the law would depend on the finality of the implementing rules and regulations (IRR). Bolanos stressed that his group had "enough ammunition" to prove to the Supreme Court that RA 11235 was "unconstitutional." Senator Richard Gordon, who authored and sponsored the Motorcycle Crime Prevention Act, urged the LTO to be careful in drafting the IRR for the law. Asked if the President is standing by the recently signed law, Panelo said: "Of course, he has signed it. Everybody should comply, [including the President], no exceptions."